The Sun Placed in the Abyss brings together the work of more than 50 contemporary artists who, since 1970, have explored the essential relationship between photography and the sun. Delving into the historical, social, and technological conditions of photography, this dynamic exhibition highlights our enduring interest in our closest star. The exhibition is divided into three thematic sections. In the first section, “Archaeologies of Knowledge,” artists re-contextualize pictures of solar phenomena from the nineteenth century to today, reflecting on the intertwined histories of photographic technologies and scientific inquiry. The second section, “Into the Light,” showcases artists who have pointed their camera directly at the sun or used sunlight as a medium. 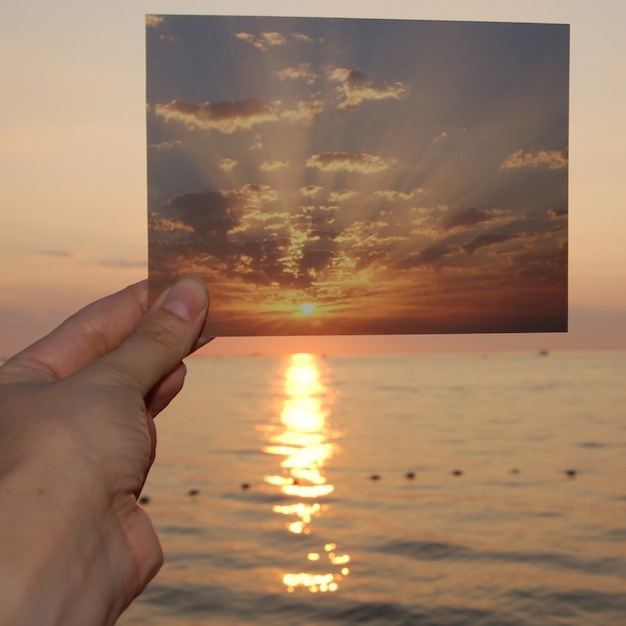 In the final section, “New Romantics,” artists incorporate images of sunrises and sunsets to highlight issues of aesthetic taste and the material conditions of photographic technologies, from postcards and tourist snapshots to magazines and cell phones. The romantic trope of the rising or setting sun becomes a poetic mediation on the politics of photographic representation and meaning. The exhibition includes works by Dove Allouche, Sarah and Joseph Belknap, Sarah Charlesworth, Anne Collier, Linda Connor, Tacita Dean, Jan Dibbets, John Divola, Shannon Ebner, Buck Ellison, Sam Falls, Hans-Peter Feldmann, Ryan Foerster, Dan Graham, Yuji Hamada, Rachel Harrison, CJ Heyliger, David Horvitz, Matthew Jensen, Craig Kalpakjian, Kikuji Kawada, Matt Keegan, Mathias Kessler, Barbara and Michael Leisgen, Jochen Lempert, Zoe Leonard, Sol LeWitt, Mary Lucier, Aspen Mays, Chris McCaw, Lisa Oppenheim, Catherine Opie, Trevor Paglen, Anthony Pearson, Richard Prince, Walid Raad, Dario Robleto, Susan Schuppli, Hugh Scott-Douglas, Simon Starling, A.L. Steiner, Yosuke Takeda, Diana Thater, Wolfgang Tillmans, Artie Vierkant, James Welling, T.J. Wilcox, Letha Wilson, and Hiroshi Yamazaki. To reveal the science behind the art, CMA partnered with COSI, Central Ohio’s award-winning science center. On view at COSI, a new planetarium show, Secrets of the Sun, celebrates our closest star. The sun shines bright in the heart of our solar system and is one of the more than 100 billion stars in the Milky Way Galaxy. The Sun Placed in the Abyss delves into the historical, social, and technological conditions of photography and highlights our enduring interest in our closest star. In conjunction with The Sun Placed in the Abyss, CMA partnered with COSI to offer programming as a companion to the exhibition. Secrets of the Sun is a new planetarium show now on view at COSI through January 2, 2017. It explores the science behind the sun, its influence on life here on Earth, and the role of the sun in art and culture. For more information and for tickets, visit cosi.org. This exhibition is sponsored by William J. and Sarah Ross Soter, Ohio Magazine, and by FotoFocus. The FotoFocus Biennial 2016 is a regional, month-long celebration of photography and lens-based art held throughout Cincinnati and the surrounding region that features more than 60 exhibitions and related programming.